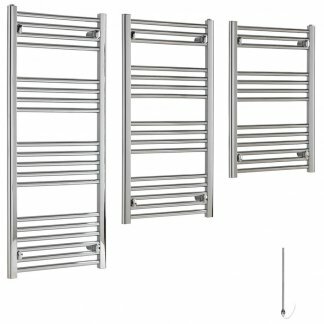 Electric Heated Towel Rails – available to buy online from Solaire Quartz, a specialist UK supplier of heating products. 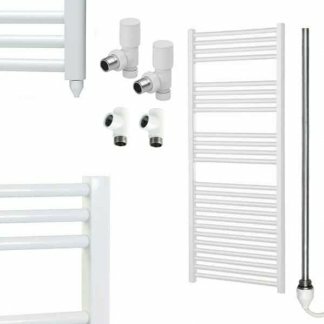 We fit our electric towel rails with a PTC heating element, which operates by using a simple on/off regulation of heat. 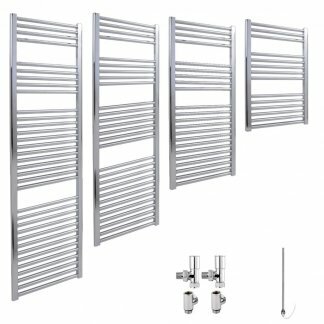 Additionally, the rails are splash proof (IP67-rated), which allows for use in bathroom zone 1. 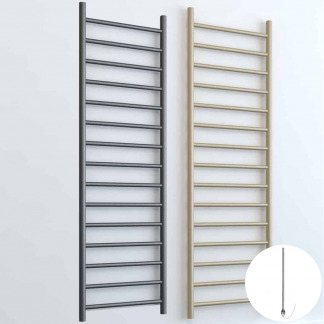 At our warehouse, we prefill the towel rails with glycol, a frost inhibitor. 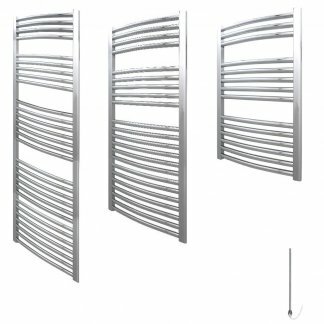 We install the element and seal the unit – thereafter it is shipped ready for connection to a fused spur box. 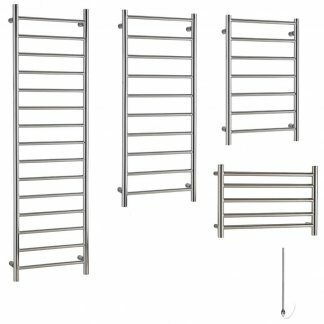 Additionally, we offer a full range of heated towel rail sizes – small, medium and large – to suit most bathroom and kitchen areas. 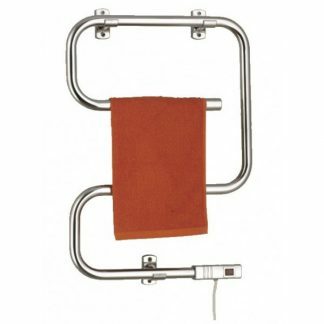 Some models are compact in size and ideal for caravans and washrooms. 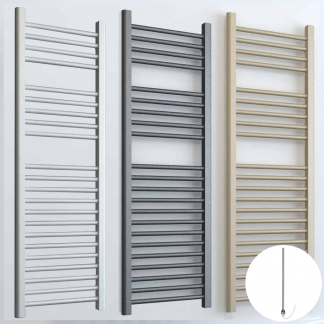 We offer heated towel rails for any budget, including basic, modern and traditional styles. 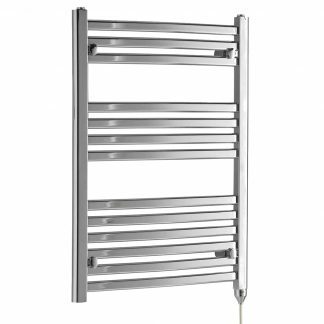 Most of the models on offer will heat the room as well as the towels. 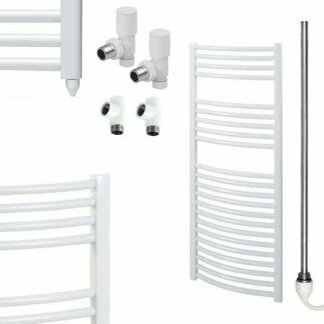 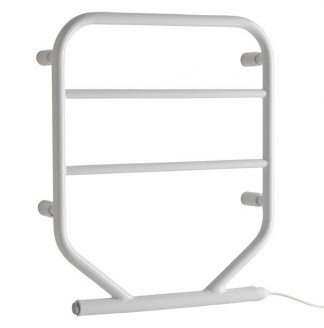 Overall, we strive to offer quality heated electric heated towel rails from reputable manufacturers. 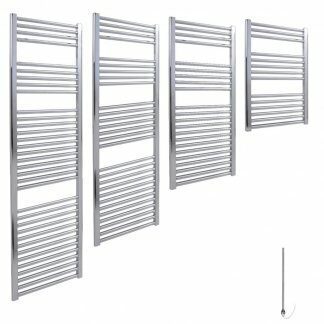 You can buy with confidence from us.